I know things have been a little quiet around the blog home front lately, but I can explain: there are just not enough hours in the day! Anyone else aware of this problem? I’d like to start a petition, or a GoFundMe, or… something. Need. More. Hours. I had two back to back work trips the last two weeks that took me to San Francisco and New Orleans, and because some god awful weather in Boston (the entire state was a solid sheet of ice, I swear), the government shutdown and lack of staffing at the airports, it was… well, it was an ordeal. Flights dramatically delayed or canceled, waiting on the runway for hours at a time because of the backlog of aircraft trying to take off, just a nightmare for so many people. 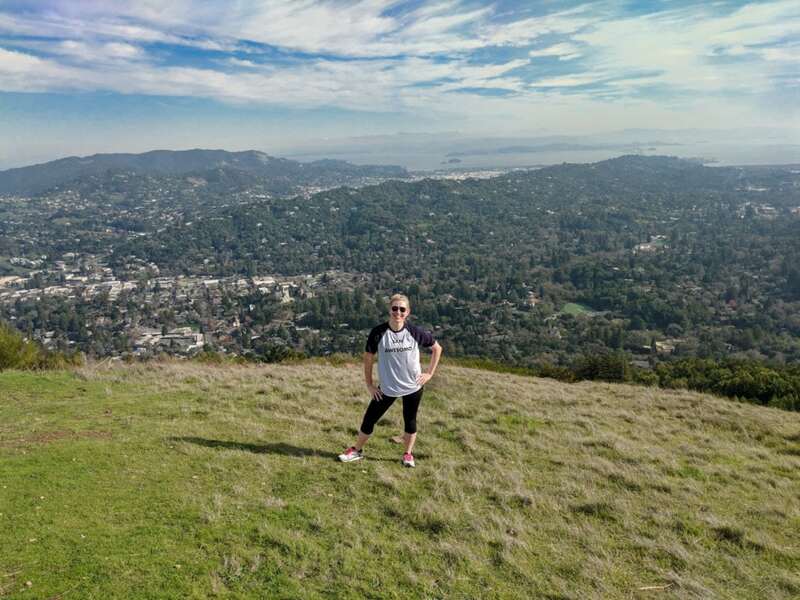 If you’re in the area and can make the trip across the Golden Gate Bridge to San Anselmo, take a hike up Bald Hill. It’s an invigorating and beautiful hike with STUNNING views of the mountains, the bay, and the city. Also in San Anselmo, head over to Imagination Park and check out the statues of Indiana Jones and Yoda! Close to the Golden Gate Bridge, Battery Park has wonderful views of the bridge and the coastline. And you may even see some sea lions. Town Hall restaurant for dinner, specifically cornbread, mac and cheese, and their butterscotch and chocolate pot de creme. 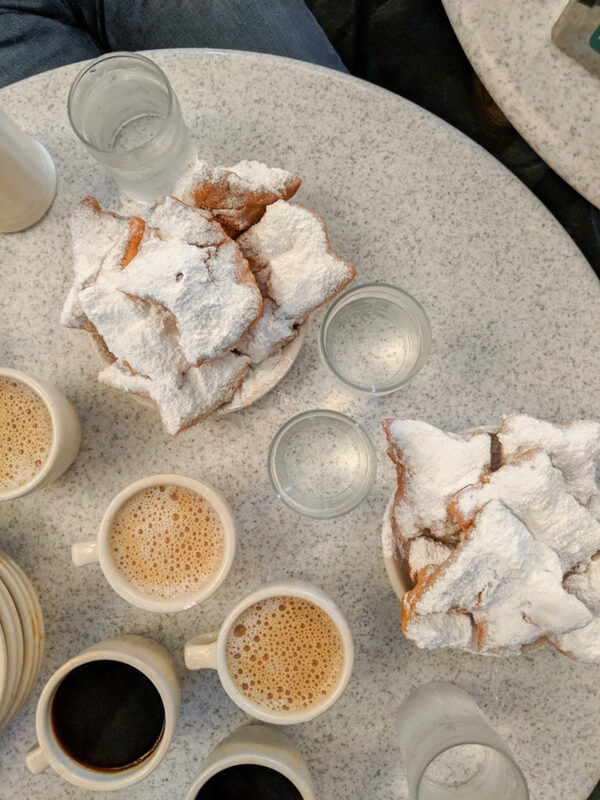 Cafe du Monde for beignets and chicory coffee, 24/7. Those are your only options, and it’s all you need. I promise. The Mardi Gras World tour. I know, I know, it’s super touristy, but it’s honestly kinda cool. It gives you a real appreciation for the amount of work that goes into those massive floats. Sylvian for a cozy and classy dinner in a former carriage house. This was definitely the best food I had while I was there, and their Chocolate Pot de Creme might actually be the best thing I’ve ever eaten. The Maison for live music after dinner. I haven’t seen a true blues band since I lived in Chicago, and it was pretty great. Aaaaaanyway. Now I’m back in Massachusetts and the Super Bowl is all anyone here is talking about… again. Having grown up in Chicago, I’m a die hard Bears fan so I’m ambivalent about the Patriots and their billionth Super Bowl appearance. But that doesn’t mean we can’t have a Super Bowl party anyway! It’s all about the commercials for me at this point. 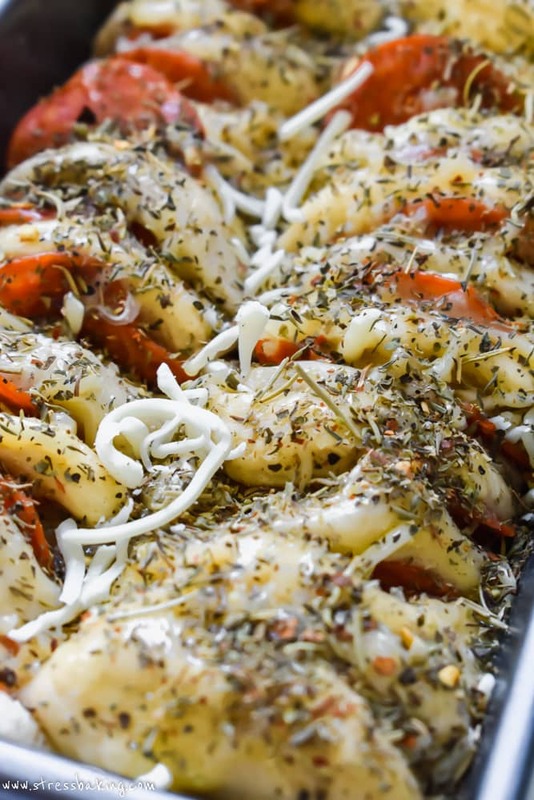 I’ve been wanting to make a pizza pull apart bread as a Super Bowl app for the longest time. I finally got around to doing it after all these trips were over, and I’m so glad I did. I made mine a little bit differently than I’ll instruct you in the recipe card below – the fiance likes things more doughy than normal human beings, and since he likes his cinnamon rolls half baked I knew he’s be okay with under baked biscuit dough, too. I also added way more cheese than any normal human being should consume. I like to live on the edge. Bake it for at least 30 minutes covered in foil to fully bake the centers and then baked uncovered to brown the top. You can sprinkle your homemade Italian seasoning on each dough round while you’re assembling everything, or you can just sprinkle it on top. Totally up to you. I highly recommend loading it up with as much pepperoni as you can manage. Now if you’re like Bill and you like things a little doughier, bake it for a little less time and leave it uncovered for more of the baking time than I recommend. Serve with marinara sauce if you want, or just keep your eyes focused on the Super Bowl commercials and blindly reach for another slice of this cheesy goodness. Apologies in advance if things continue to be a bit quiet around here for the next couple weeks – the wedding is in less than two weeks, and even though we’re not taking a honeymoon, I want to sign off and really enjoy being disconnected and spending time together as newlyweds. Next time you see me, I’ll have a new last name, an additional ring, and… well, everything else will be the same. Wish us luck! This looks absolutely HEAVENLY! I could totally make a meal out of just this and call it a day! 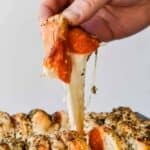 This pizza bread looks amazing! I think it would be great with some tomato soup although I’d quite happily just sit and eat the pizza bread! OMG I am printing right now. What a fun and delicious recipe for ANY weekend get together. I know I would have to make 2!! I could probably eat one all by myself LOL! 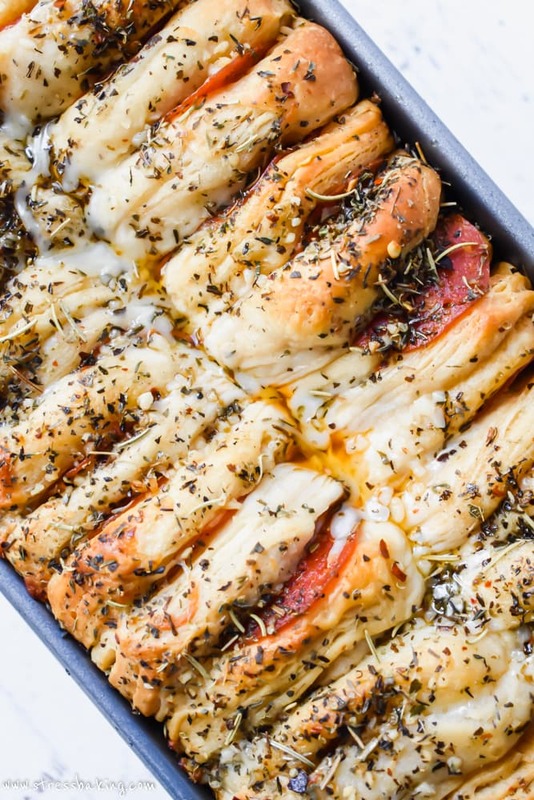 this pull apart bread looks incredible! That close up of cheese stretching made me drool! your photos are so stunning! Ahhh like little bites of pepperoni pizza. Divine! I’m used to pullaparts being sweet, but this savory version is a real treat. Thanks for the inspiration. I LOVE this! 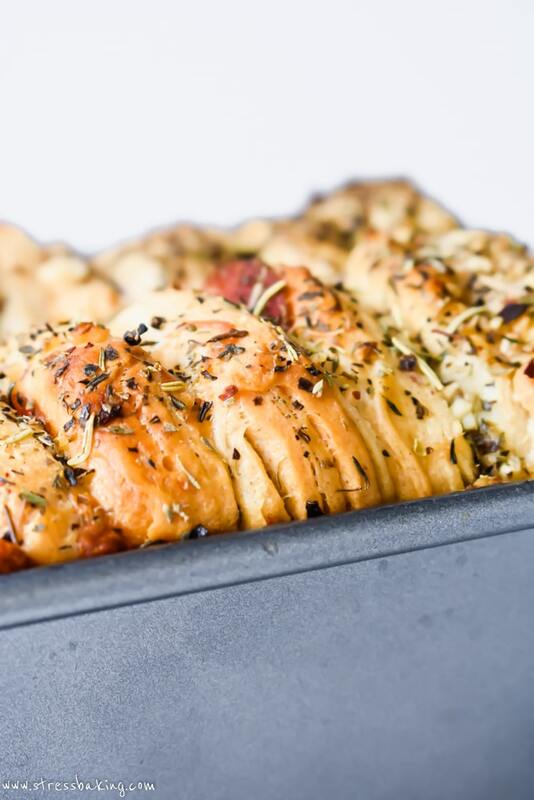 Pull-Apart Breads are so much fun! I would make one half without the pepperoni as I don’t eat sausage and the other half with double, as my hubby LOVES it! Perfect for movie night! 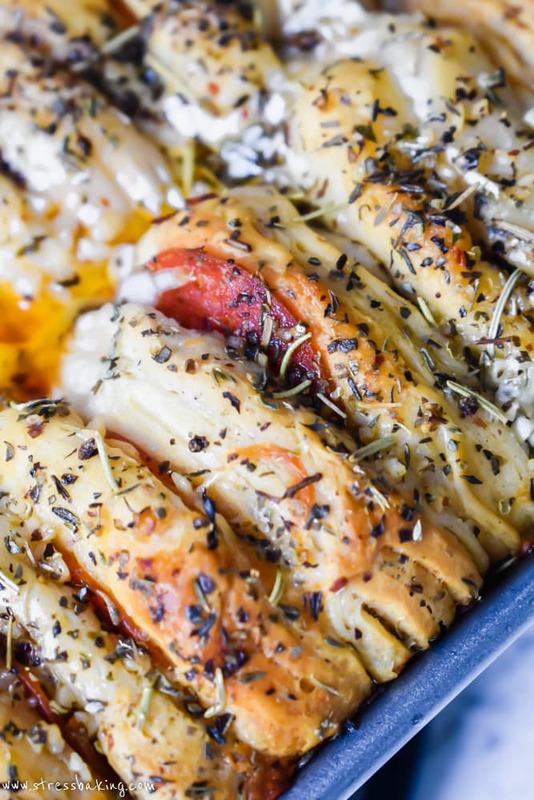 I have ALWAYS wanted to make a pull-apart bread! And now — it just may be happening this Sunday for the game! YUM! This one looks seriously amazing! GIRL. 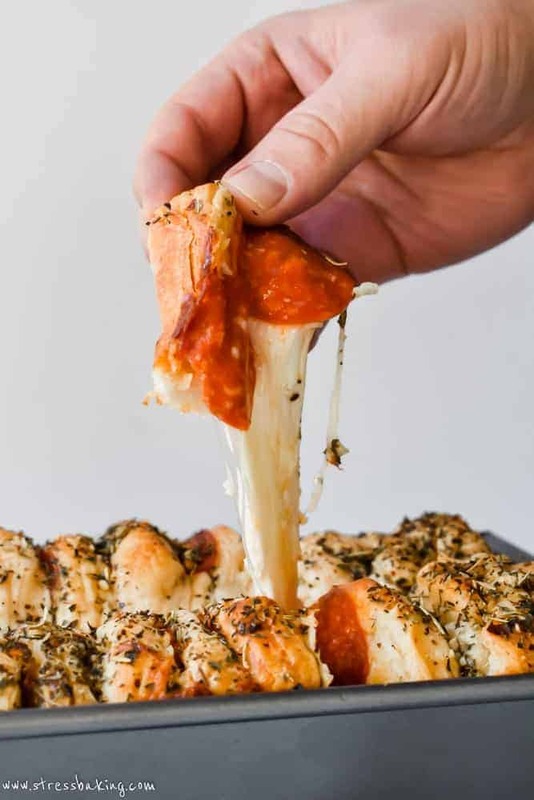 I’m dead and I died looking at these beautiful cheesy pizza bread photos. I want to shove this whole thing in my mouth. Great news, when you have a super bowl party by yourself you don’t have to share. 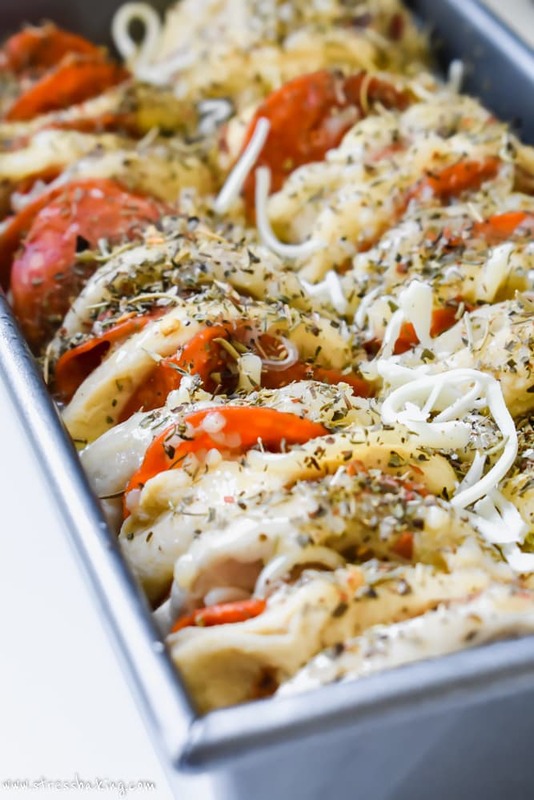 I am so making these cheesy pizza pull aparts! That cheese pull is drawing me in! This is one of those easy and so beyond delicious recipes! Entire family will love it! 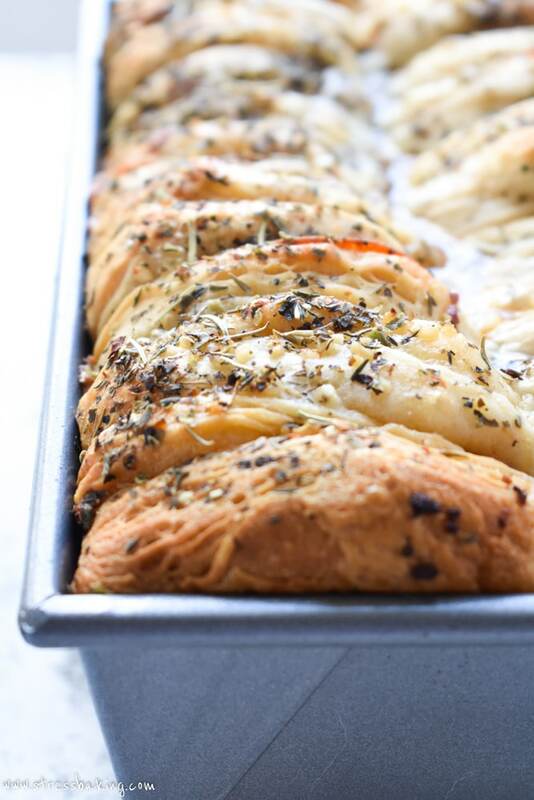 I really want to have some of these delicious looking pull apart bread right now! That close-up shot of cheese pull is sooo tempting me to shove the whole thing in my mouth. So so good! Oh man, I feel ya on the work and not-enough-hours-in-the-day front. 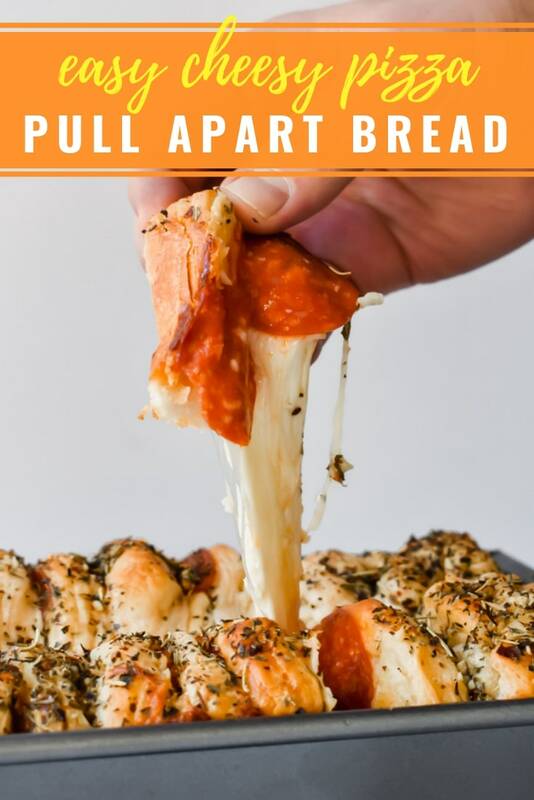 Someone should really do something about that whole 24 hours in a day business… but the pull apart pizza bread looks amazing! OMG this looks heavenly, I am so making this as soon as my daughter comes home for a weekend. GIMME. THAT. BREAD. Cheesy + bread + eating with your hands is basically the best combination ever, right? I know my kids will love this, but so will I!